Green Park Cottage in Waterston, near Milford Haven, sleeps 6 people in 3 bedrooms. 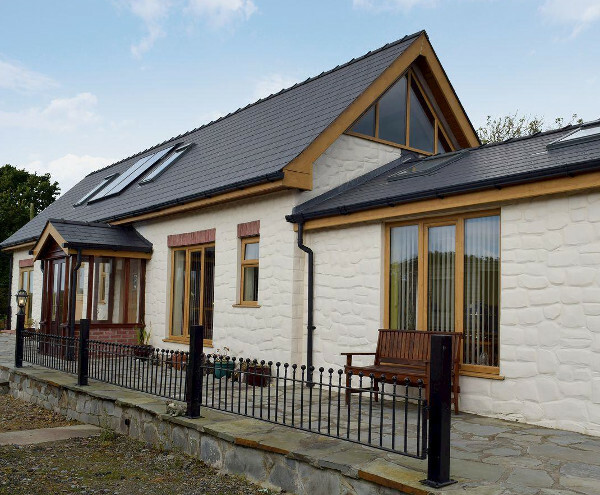 A lovely holiday cottage to explore this part of south Wales. Green Park Cottage sleeps 6 people in 3 bedrooms, with the bedrooms being made up as: bedroom 1 - four-poster king-size bed. Bedroom 2 - four-poster king-size bed. Bedroom 3 - double bedroom. There are 2 bathrooms at Green Park Cottage too. The living room at Green Park Cottage has a large flat-screen Sky TV and a DVD player. There is also wood burning stove, which is just perfect for those colder evenings - spend the day exploring the Pembrokeshire Coast National Park, and the evenings with your feet in-front of that real fire. The galley kitchen has an electric range, microwave, fridge and dish washer. With the utility room having at washing machine and American-style fridge/freezer. Green Park Cottage comes with central heating, and your bed line & towels included. The first logs for the wood burning stove are included in the price of your holiday. Outside Green Park Cottage has a courtyard, with patio and outdoor furniture (the photo below shows the patio area at Green Park Cottage). There is private parking for three cars. You have plenty of places to see when on your holiday at Green Park Cottage. You can head into the Pembrokeshire Coast National Park for some outdoor activities - how about a go at Coasteering (that's where you jump into the sea and work your way round the coast). With the south Wales town of Milford Haven only 3 miles from Green Park Cottage. Milford Haven is the start of the The Pembrokeshire Coast Path, and takes in such places as Lindsway Bay and Sandy Haven; there is also a popular marina at Waterston. For those with children in tow, a day at Oakwood Theme Park must be on the cards - only 16 miles from Green Park Cottage, Oakwood Theme Park has plenty of rides and attractions to keep the children happy. Should happen to be staying at Green Park Cottage in the summer months, it's well worth heading to the sandy beaches at Tenby for the day. Should Green Park Cottage not be to your liking, but you fancy staying in the area around Milford Haven, you might well be interested in the cottages below. All these cottages are within a few miles of Green Park Cottage.